ASEAN-KOREA CENTRE : Centre Activities - ASEAN Travel . 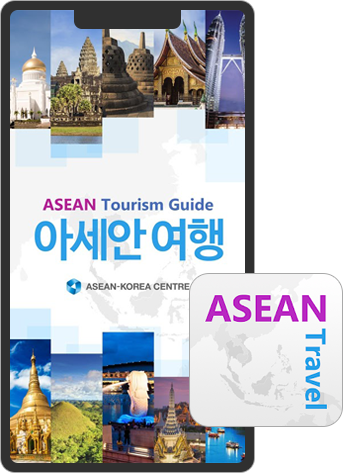 To help tourists access ASEAN tourism information easily, the ASEAN-Korea Centre has launched the mobile application, 「ASEAN Travel」.Through「ASEAN Travel」application, smart-phone users can easily utilize the newly updated information of the 10 ASEAN Member States which includes tourist destinations, basic coversation, currency rate, and weather. Also, users can download the contents which can be accessible on offline mode without any extra charges on date roaming while travelling overseas. 2. If you click the icon installed on the smart phone, you can enter the main page of Application.